Get a professional plumbing repair by Clovis Plumbing Services! Plumbing is an essential requirement for any property. It deals with the complex systems of fixtures, water lines, sewer lines, sinks, faucets, showers, toilets etc. They require and need regular inspection for continuous and smooth functioning. If any of these parts stops working or have trouble with, it can lead to extreme discomfort and inconvenience. Plumbing on your own can lead to serious problems and be quite expensive. We are a trusted and reliable service provider for all your needs. With an extensive experience in the industry, we provide most efficient and cost effective solutions. We are a leading name in the plumbing services with best equipment and plumbing fixtures. Elite services for all your plumbing needs. High-quality workmanship, reliable services and affordable pricing. We provide services to ensure that all the plumbing fixtures in your house work smoothly. Our team of professional plumbers are ready to give accurate estimates, friendly consultation, and fast solutions. Comprehensive range of services including installations, repairs and remodeling. The plumbing system in every type of building is the lifeline of that building. Without them, some of the modern amenities would not be possible. Read on to learn some basics of a plumbing system. The plumbing system can be divided into five basic categories. The water source for the water installation can be either a public or a private water system. Some use a combination of both. 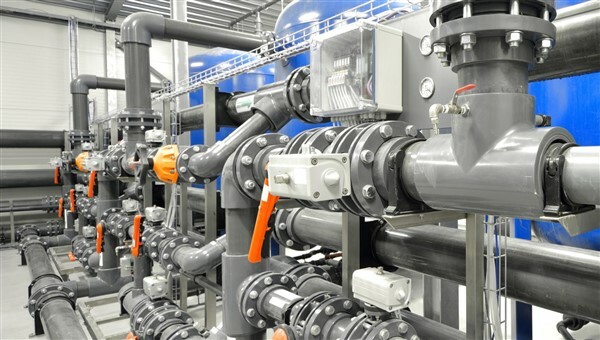 A municipal water system is supplied by water lines known as "mains". Private well water exists for homes that are far away from municipal water mains. In a plumbing system, the pipes distribute the water throughout the home. Depending on the location of the house, there are different tube types that are efficient in a plumbing system. Some of these types are: cast iron pipe, galvanized steel pipe, copper pipe, and plastic pipe. Plumbing installations include sinks, bathtubs, showers, toilets, and taps. The most important part of designing a plumbing system is determining where to place these fixtures. Most plumbers recommend placing the plumbing work in a concentrated area of the house. You can save a lot of material and installation if these valves are close to each other. However, special attention is needed because of the many options and complications that a water heater offers. Factors such as water heater type, energy source and location can affect the sanitary system and its location. Advances in water heater technology have resulted in more efficient and safer water heaters. There are many types of water heaters on the market that are tailored to the needs of each plumbing system. The drainage has two functions that contribute to a plumbing system. It transfers waste and water into a sanitary sewer system or holding tank and removes lethal gases. The capacity, spacing, sealing, venting and cleaning arrangements are all important to an effective drainage system. For reasons of health and convenience, the drain must be designed to accommodate the entire plumbing structure. Choose a service provider that gives you free estimates. In this way, you can shop for prices and find out which services of the company are the most economical. To get a free estimate, you must give the company information about the problems you have with plumbing. A lot of plumbing companies have online application forms that you can easily fill out. For the most accurate estimates, give the correct details about the problem. To make sure the estimates apply to the same problem, give the same details to everyone. The service provider you hire should be able to provide fast services. This can be extremely important if you are facing big problems. For example, if a faucet is leaking and flooding the floor, you need fix the problem immediately. In such situations, the best option is to hire a service provider in a location near you. Some plumbing and installation companies are committed to customer satisfaction. Other service companies offer discounts for special groups such as war veterans and seniors. If you belong to such a group, select a company that offers special privileges. Companies also offer special discount coupons for customers who are seniors or in the military. Others offer discount coupons to customers who choose to install a specific brand in their home. The specialist who takes care of the plumbing work in your house should be an expert on this aspect. Trained and certified professionals have the know-how and the skills to handle the plumbing problem exactly. It is important to choose a company that has been certified by bodies such as the Better Business Bureau. Accreditation indicates how trustworthy and consistent a business is. You can check if the company you want to hire has certification by checking it on its website. Most certifications are provided online, so you can conveniently check if the company is accredited or not. Before hiring a service provider, read some of the testimonials other customers have given the company. This gives you an idea of what their experience with the service provider has been. You can use testimonials to verify that the company is providing the plumbing services correctly. Most service providers provide these testimonials on their website so you can easily access them. Need a basic plumbing repair?